Aging in Place is becoming a huge part of our bathroom remodeling. It could be as small as a well-placed grab bar or a full-blown bathroom remodel. Whether a walk-in tub or a threshold shower, we can do it all. A safe bathroom is our top priority, and you don't have to sacrifice safety for style. We can offer all the current styles and products. Grab Bars can be placed practically anywhere. They come in many shapes and sizes, from simple to elegant. 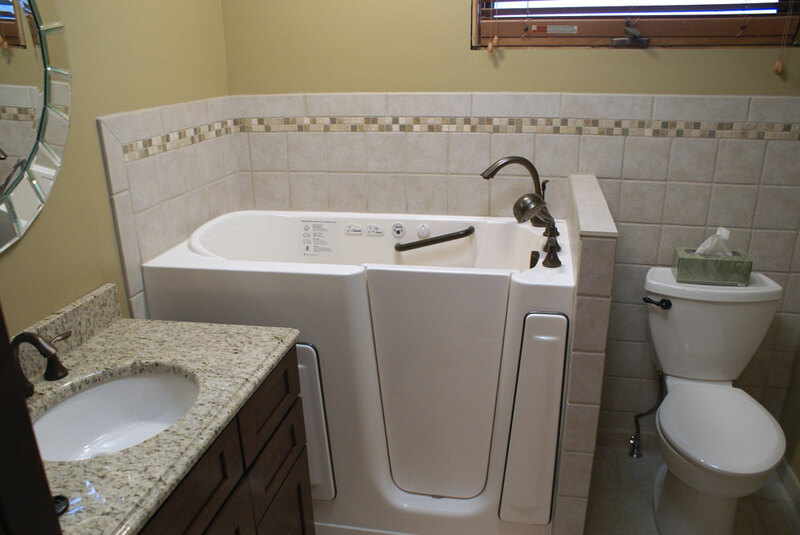 Walk-In Tubs are another beneficial alternative that can often fit in an existing tub alcove. They are very luxurious and offer options including water jets, air jets and heated seats. Lifetime warranty on door seals. Plumbing: Rely on Ryan and Son Plumbing, Inc. to provide you with top-of-the line plumbing services including repairs, replacements and new installations. To ensure your satisfaction, our plumbing contractors use top-quality, brand-name materials that are built to last.